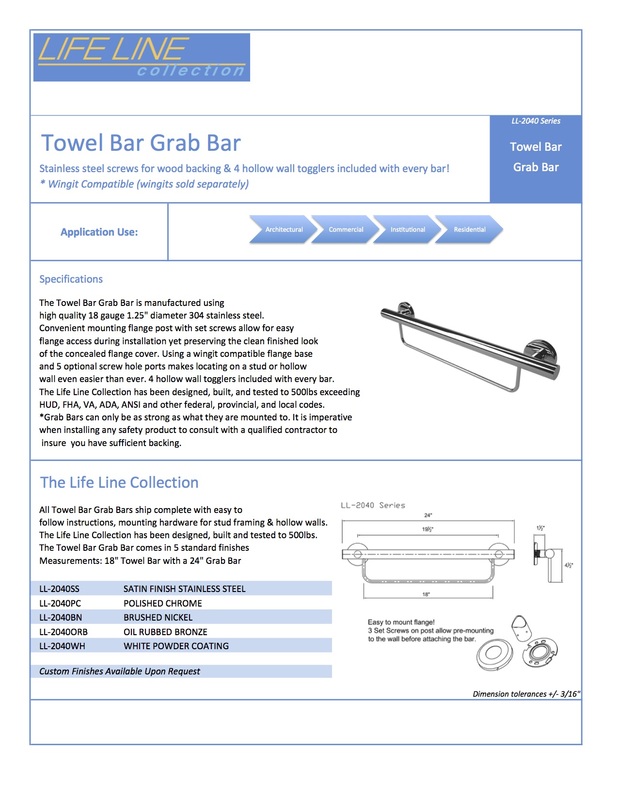 A grab bar and a towel bar combined into one unique piece. This combo unit can be mounted on your bathroom wall or in your shower and offers that stable secure hand when reaching for towels or wash clothes. mounts conveniently beside your toilet and offers a stable hand as well as the convenience of having toilet paper incorporated into the center arm.